Dhaka, 27 Mar, Abnews: The High Court has fixed Wednesday for hearing on acceptance of an appeal filed by Anti-Corruption Commission seeking extension of punishment for BNP chairperson Khaleda Zia in Zia Orphanage Trust graft case. An HC bench of justice M Enayetur Rahim and justice Md Shahidul Karim fixed the date after the appeal was placed before it, reports UNB. The ACC filed the appeal petition on Sunday. 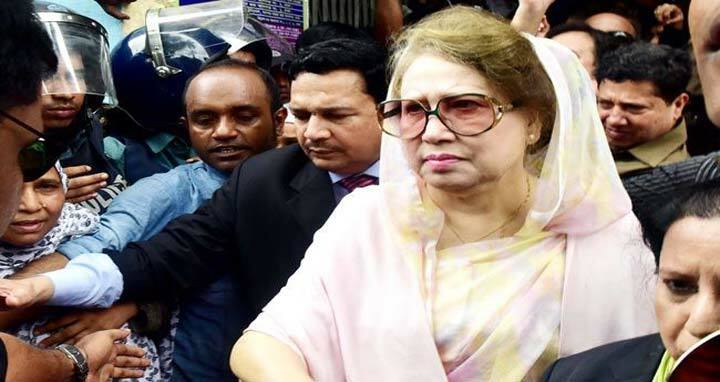 On 19 March, the Appellate Division of the Supreme Court stayed the BNP chairperson Khaleda Zia’s bail, granted by the High Court, till 8 May in the graft case. The SC also allowed the state and the ACC to file petitions against the HC order that granted bail to Khaleda, fixing 8 May for next hearing. On 12 March, the High Court granted a four-month interim bail to Khaleda Zia.